The Court shall have discretion to deviate from these Schedules based upon the factors set forth in R.C. 3109.051(D). 28.02 Traveling outside the State of Ohio: Parents shall be permitted to travel with their children to locations outside the State of Ohio without notice to the other parent or the Court for periods not to exceed forty-eight (48) hours. For travel periods that will exceed forty-eight (48) hours, the traveling parent shall notify the other parent of such travel plans in writing at least seven (7) days prior to the trip. Said notice shall, at a minimum, include the scheduled departure and return dates, travel arrangements and a telephone number where the child(ren) can be reached in case of an emergency. 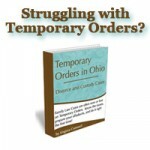 28.03 Moving within or outside the State of Ohio: In the event the Residential Parent decides to relocate within or outside the State of Ohio, said parent shall, at least sixty (60) days prior to the planned move, give written notice to the Court of the intention to relocate by filing a Notice of Intent to Relocate form issued by the Court and posted on the Court’s Website. A copy of said notice shall be furnished to the Court’s Assignment Commissioner at the time of filing. Upon the filing of said notice, the Court shall mail a copy of the notice to the Non-Residential Parent unless the Residential Parent objects to said mailing for reasons of alleged domestic violence or abuse or neglect of a child. The Court will not normally schedule a hearing on the notice unless the Non-Residential Parent requests the same in writing. The purpose of any such scheduled hearing shall be to determine whether it is in the best interests of the child(ren) to revise the parenting time schedule. If after sixty (60) days no objection has been raised by the Non-Residential Parent, the Court may issue an entry modifying the parenting time schedule as requested by the Residential Parent. include provisions covering all factors that are relevant to the care of children, including, but not limited to, physical living arrangements, child support obligations, income tax dependency exemptions, provision for the child(ren)’s health care, school placement (including the location where the child(ren) shall catch the bus), and the parent with whom the child(ren) will be physically located during legal holidays, school holidays and other days of special importance. Would like to know the most recent local parenting schedule please.